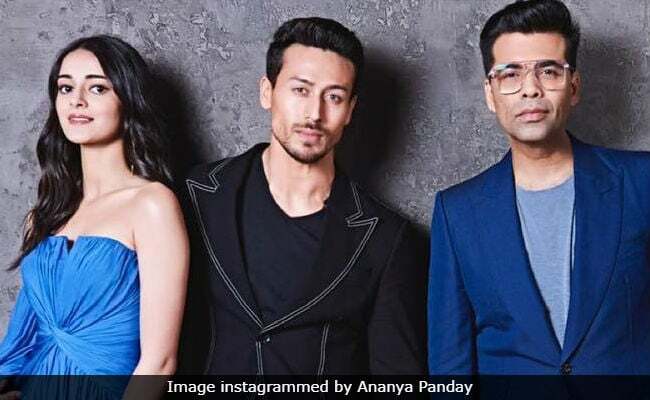 When Karan Johar announced he's hosting Ananya Panday along with her Student Of The Year 2 co-stars Tiger Shroff and Tara Sutaria in an upcoming episode of Koffee With Karan 6, the Internet cried "nepotism." In a promo from the episode, when Karan Johar told Ananya, daughter of Chunky and Bhavna Panday, that a section of people wondered why the filmmaker picked Ananya to appear on the show (more on that later), the actress-in-waiting replied: "I agree with this section of people. I haven't done anything. I don't deserve to be on the show." Ananya may still have to prove her mettle as an actress but she did make her high society debut at Paris' Le Bal in 2017, which makes her worth a trip to the chat show. Over the weekend, Karan Johar announced that the cast of Student Of The Year 2 will sip Koffee with him before the season finale. Several Instagram users slammed the filmmaker for promoting star kids instead of inviting bonafide celebrities such as Radhika Apte and Nawazuddin Siddiqui to name a few. The current season of Karan Johar's chat show had a good mix of Koffee debuts with star kids like Janhvi Kapoor and Sara Ali Khan and actors from outside the film industry who've become names to reckon with. The latter group includes Kartik Aaryan, Bhumi Pednekar, Kriti Sanon and Diljit Dosanjh. Kareena Kapoor and Priyanka Chopra will bring the curtains down on Koffee With Karan 6 soon.